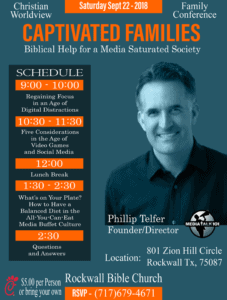 On September 22, 2018 Phillip Telfer will be speaking at a one day Christian Worldview Family Conference in Rockwall, TX. 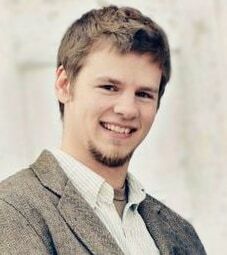 He will be presenting 3 workshops followed by a time of Q&A. Subscribe to receive the Media Talk 101 Blog in your inbox!